Have extra change lying around your house, in your pockets, or in the cup holder of your car? Give that change to a great cause. 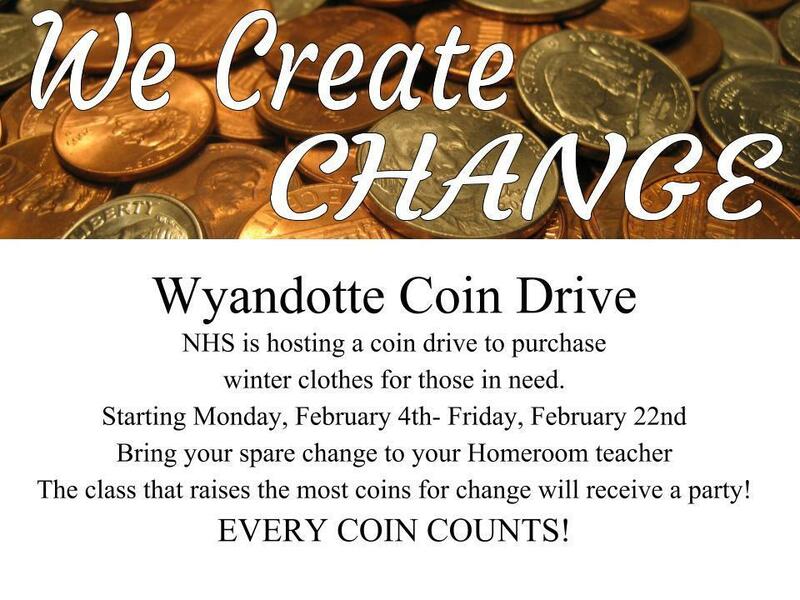 Our high school National Honor Society is hosting a coin drive to help those in need of warm, winter clothing. This competition is for Pre-K-12th grade and runs from Monday, February 4th-Friday, February 22nd. The winning class will receive a prize! Copyright © Wyandotte Public Schools 2019. All rights reserved.